Heron are mostly found in lowland areas near rivers, lakes, ponds or the sea. This is because it usually feeds close to the bank or shore of water and may wade out into shallow water hunting fish that flit about below the surface. It will also visit gardens with ornamental ponds, looking for an easy meal. It feeds mainly on fish, but also eats small mammals (even Moles! ), water birds (sometimes up to the size of a Coot) and Crayfish. 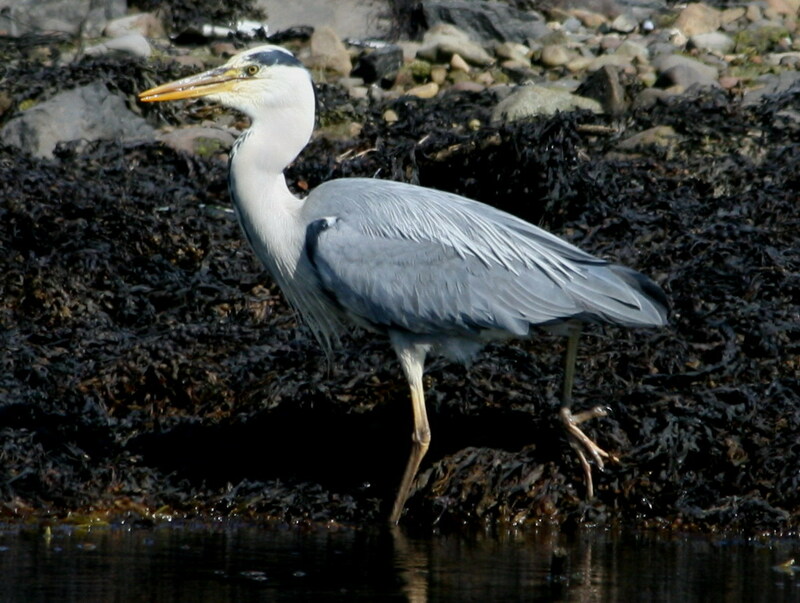 The Heron is often recognised with no trouble, grey-backed bird, with long legs, a long, white neck, bright yellow bill and a black eye stripe. It can be found standing motionless with neck stretched out, looking for food, or hunched down with its neck bent over its chest. Flies with its long legs stretched out, but its neck pulled in. The main call is a loud croaking “fraaank” but when driving other birds from the vicinity a loud, harsh “schaah” is used by the male. Breeding takes place between February and June in colonies known as Heronries usually in high trees close to lakes, the seashore, or other wetlands. The male usually collects the material, while the female constructs the nest. The same nest is used year after year until blown down; it starts as a small platform of sticks but expands into a bulky nest as more material is added in subsequent years. Have you spotted a heron on your local river? We want to hear from you! If you have photos or stories, please send them to riverlife@forthriverstrust.org.